I produced this story and video for the Florida Center for Investigative Reporting. It earned a second place award in feature writing from the Florida Society of Newspaper Editors. The story was published on March 20, 2013. (See original version). 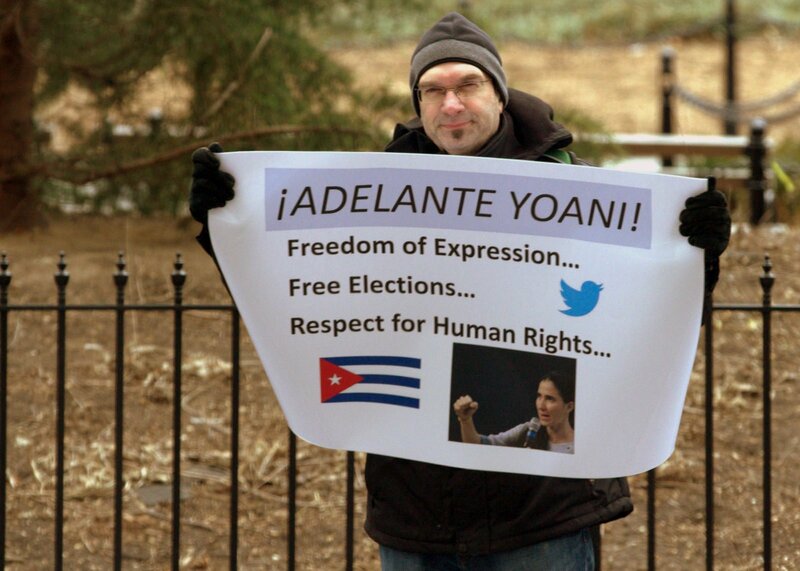 NEW YORK–Dangerous, daring and illegal — that’s how Yoani Sanchez describes her quest to launch an independent digital newspaper in Cuba later this year. 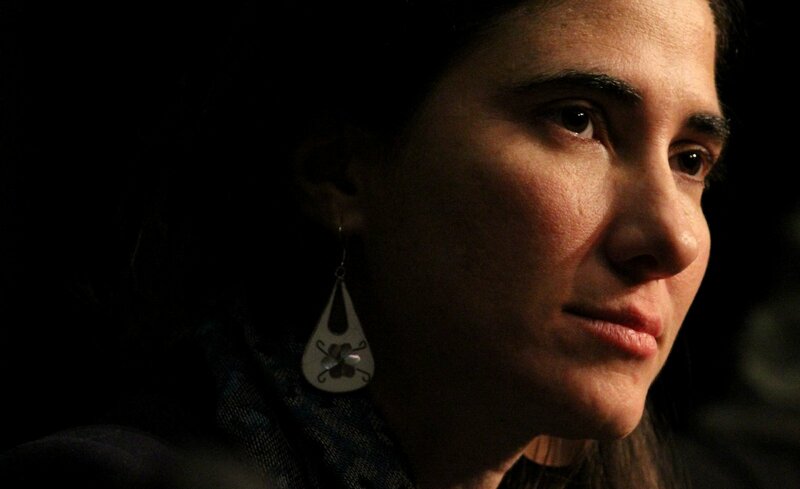 Sanchez, 37, an award-winning Cuban blogger, is in the midst of an 80-day tour through Europe and the Americas. She plans to visit with lawmakers in Washington, D.C., and speak before the Inter-American Commission on Human Rights later this week. She said starting a digital newspaper in Cuba is her “life’s dream.” But reaching her countrymen won’t be easy. Cuba has the lowest Internet connection rate in the Western hemisphere and the government controls the press. Undeterred, the barnstorming blogger plans to use underground tactics, passing along news and information on flash drives and DVDs. The activists’ supporters denounced their arrest and they were freed. “The flight of the bluebird even rescued us,” Sanchez said. She said her 450,000-plus Twitter followers came to the rescue again three years later, rallying support for victims of Hurricane Sandy in eastern Cuba. Word that she was collecting donations in October 2012 spread “like the flu,” and in just three days, a ton and a half of food, medicine and other supplies piled up in the living room of her high-rise Havana apartment. And that has brought her adoration from many exiles, Fusco said. Sanchez launched her blog, Generación Y, in 2007. Time magazine named her as one of the world’s most influential people in 2008. Columbia University awarded her the prestigious Maria Moors Cabot journalism prize in 2009. By then, her blog was getting 14 million hits per month. More prizes followed. Some Cuban government supporters claim that U.S. officials secretly planned and financed the blogger’s meteoric rise. Sanchez scoffs at the idea she was somehow cooked up in a lab at the Pentagon or is a product of the CIA. But that didn’t stop scattered protesters from making such accusations when spoke at Columbia University, New York University and the New School last week. Demonstrators flung copies of $1 bills emblazoned with the blogger’s face during her appearance on March 16 at the New School. 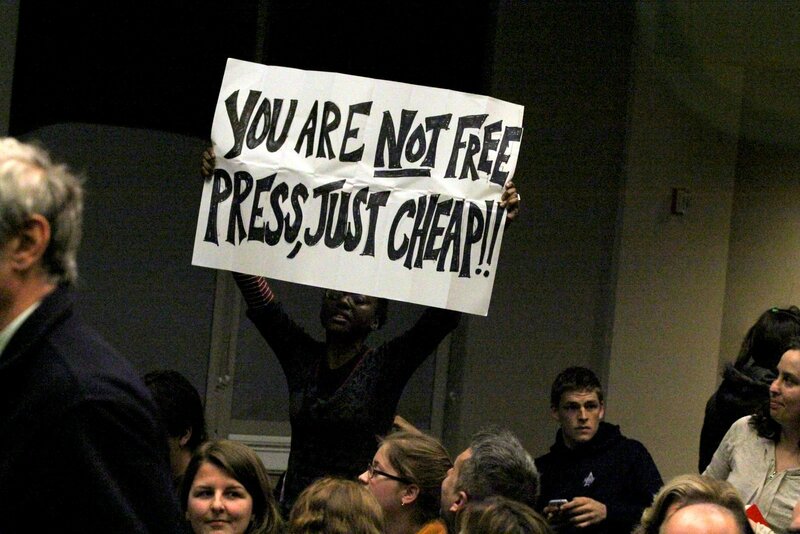 The blogger’s supporters screamed at the protesters and tore up their signs. “You defend slavery!” a Sanchez supporter yelled at the woman. That drew laughter and applause from the audience, which included Cuban exiles who were victims of such acts in Cuba, where socialist government supporters sometimes hurl rocks, eggs and buckets of oil at dissidents’ homes. Organizers should have allowed for more debate, he said. Organizers at the blogger’s events said they had no intention of trying to settle the debate over Cuba. And if she is a U.S. government invention, she doesn’t follow Uncle Sam’s script. She opposes the longtime ban on U.S. trade with Cuba, yet she’s willing to listen to all sides. The blogger’s 12-country trip began on Feb. 17 in Brazil. From there, she traveled to the Czech Republic, Spain, Mexico and the United States. “Irreversible change” is transforming Cuba, she told a crowd at New York University on March 15. Independent bloggers and democracy activists are forcing Raul Castro’s government to evolve, she said. A Cuban government official disputed her view. “If a television tower fell down tomorrow, she’s going to say it was because of her,” said the official, who was expressing his personal opinion, not necessarily the government view. The official said change in Cuba is happening as a result of reforms spelled out in a November 2010 document called the Draft Guide for Economic and Social Policy. The document incorporates some 400,000 suggestions collected from Cubans around the country. Orlando Luis Pardo, a Cuban writer, photographer and blogger who joined Sanchez in New York, contends no meaningful debate is going on. Sanchez warned that change in Cuba will likely be slow. Apathy in Cuba is a “national epidemic,” she said. Many Cubans believe it’s futile to challenge the government and would rather leave than fight. Access to information is another problem, she said. Even tweeting is expensive — $1.10 per tweet, meaning that Sanchez’s nearly 16,000 tweets have cost more than $17,000. Sanchez said she does not receive money directly from any foreign government. She figures she has earned enough prize money to finance her digital newspaper for three years. After the Castro brothers are no longer in power — a time she and followers refer to as “the day after” — she envisions publishing a print edition of her newspaper. Members of the blogger’s inner circle say such talk doesn’t faze her. “So what happens when she leaves the public stage after being beaten up or even adored to death? Does she snarl behind the scenes? No! She just gets even more lively and energetic and funny and happy,” one supporter said.